At the heart of every Isuzu vehicle lies a refined combination of power, efficiency and reliability. 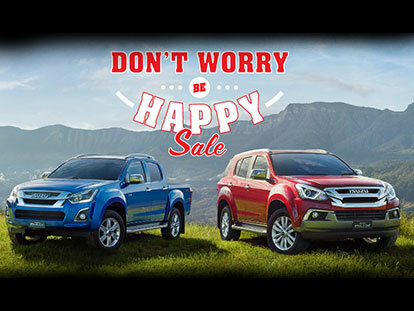 Our range of New Isuzu UTE vehicles for sale at our Indooroopilly dealership offer incredible towing capacity, and have been designed to handle any load in all kinds of terrain. For complete peace of mind, all our new Isuzu UTE vehicles come with a class-leading 5-year/130,000 km warranty, as well as a nationwide 5year premium roadside assistance. When you buy from Westpoint Isuzu UTE, you can rest assured that no matter what road you’re travelling, we’ve got your back. Browse our range of new Isuzu UTEs available for sale in Indooroopilly below. For more information, please Contact a friendly member of our sales team today.